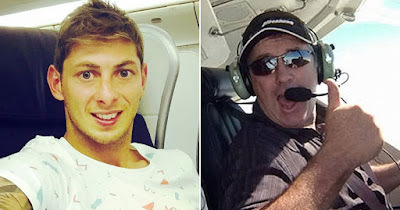 Heavenly Father, we pray right now for Emiliano Sala and David Ibbotson, who disappeared after their small plane most likely crashed into the English Channel. With search efforts called off after 24 hours of searching and hopes of their survival very dim, we pray for some sort of success. If they are still out there alive, may they cling to life and be rescued by boaters or aircrafts going about life as usual in the area. If they have passed from this life, may their plane be discovered, so their families can have closure. Please be with all who grieve, including Sala’s Cardiff football teammates. In Jesus’ name we pray, amen.